A product liability lawsuit has been filed against Pfizer, by parents whose child was born with severe heart defects after Zoloft use by the mother during pregnancy. The parents allege that the drug maker failed to adequately warn consumers or the medical community about the potential side effects of the antidepressant on unborn children. The complaint was filed by Jade and Jason Byington on July 13, in the U.S. District Court for the Southern District of New York. Zoloft (sertraline) is one of the most widely prescribed medications in the United States. Zoloft was introduced by Pfizer in 1991. 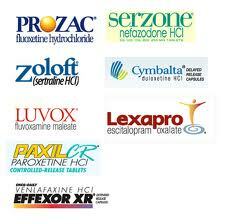 Zoloft is commonly used for treatment of depression, obsessive compulsive disorder and anxiety. Zoloft use during pregnancy has been linked to a risk of several types of birth defects and malformations. At least 137 similar Zoloft lawsuits have already been filed in U.S. District Courts throughout the United States on behalf of children who suffer health problems that were allegedly caused by their mother’s use of the antidepressant during pregnancy. The Byington complaint will soon be transferred to the Eastern District of Pennsylvania,where it will be consolidated with other federal lawsuits over birth defects from Zoloft that are centralized for pretrial proceedings as part of an MDL, or multidistrict litigation. The family alleges that side effects of Zoloft caused the child to develop heart malformations, including an atrial septal defect, ventricular septal defect and coarctation of the aorta. In addition to heart defects, there has been a link between Zoloft and pregnancy use increasing the risk of children developing a number of different problems, including skull malformation, neural tube defects, abdominal defects, spina bifida and PPHN (persistent pulmonary hypertension in newborns), according to lawsuits. Many of these birth defects and malformation can develop if the medication is used during the first trimester, which is a time when many women do not even realize they are pregnant.